The Fire and Water Podcast Network Presents… WHO’S WHO: UPDATE ’88 PODCAST, volume 4! 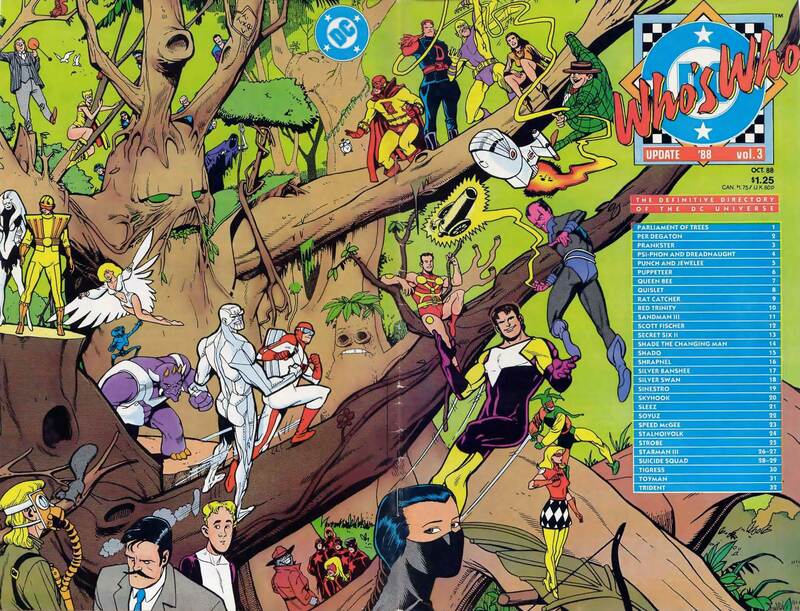 The fourth episode of our WHO’S WHO UPDATE ’88 podcast is now available — the show that dares to tackle one of DC Comics’ greatest publications! 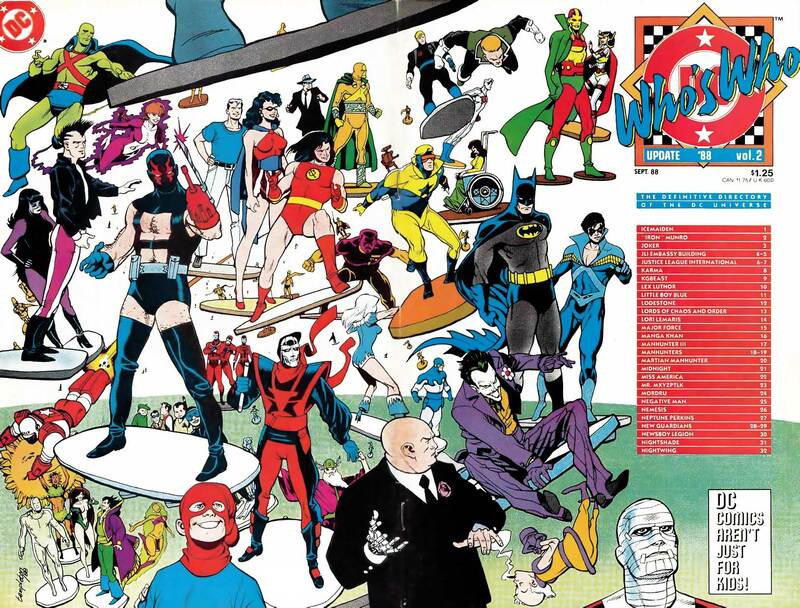 Each episode Rob and I cover a single issue of the legendary 1980s series, Who’s Who: The Definitive Directory of the DC Universe. 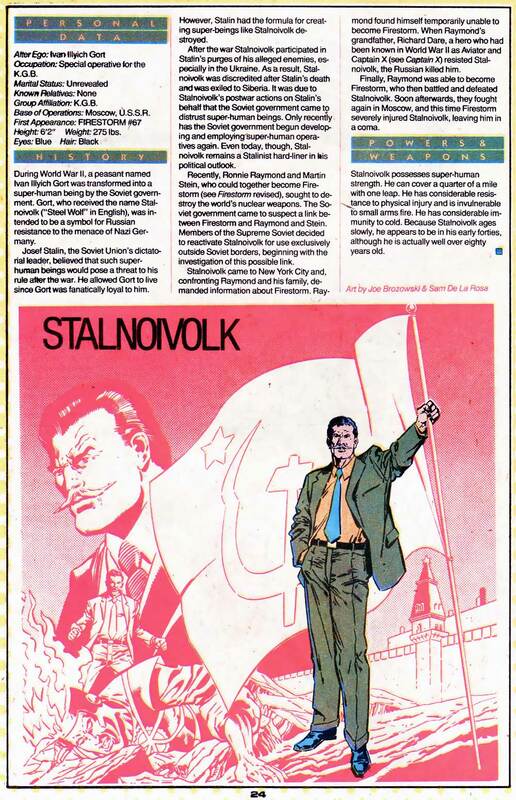 This time around we chat about WHO’S WHO: UPDATE ’88, volume 4, discussing characters such as Ultra-Humanite, Zatanna, Alfred Pennyworth, Amanda Waller, Felicity Smoak, Jimmy Olsen, Maxwell Lord, Steve Trevor, Abby Arcane, and more! We wrap up with your Listener Feedback! This episode sponsored in part by InStockTrades.com! 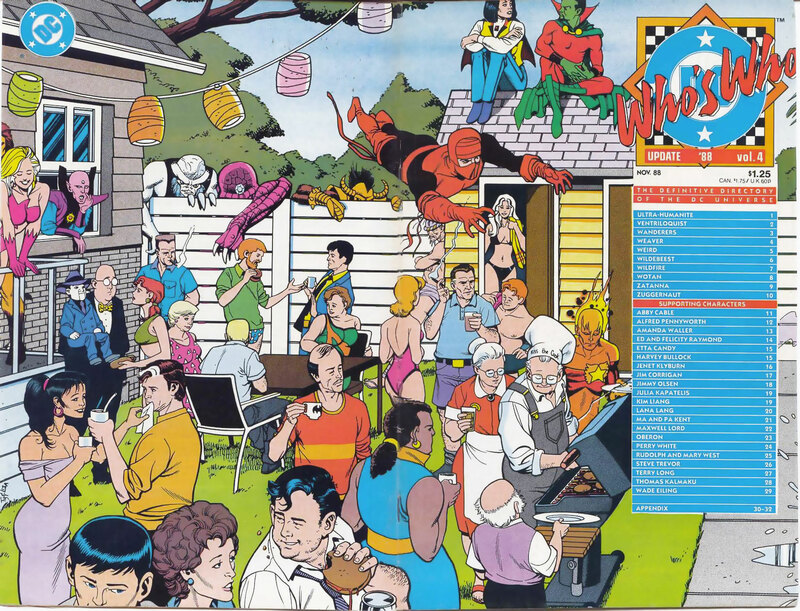 One of the coolest aspects of each Who’s Who issue was the amazing wrap-around cover! Check out this exceptional cover by Ty Temploton! However, one important question… where are Ed and Felicity Raymond?!?! Click the image to enlarge. First up is the Zuggernaut by Joe Brozowski and Sam De La Rosa. Sigh… yes, the Zuggernaut. 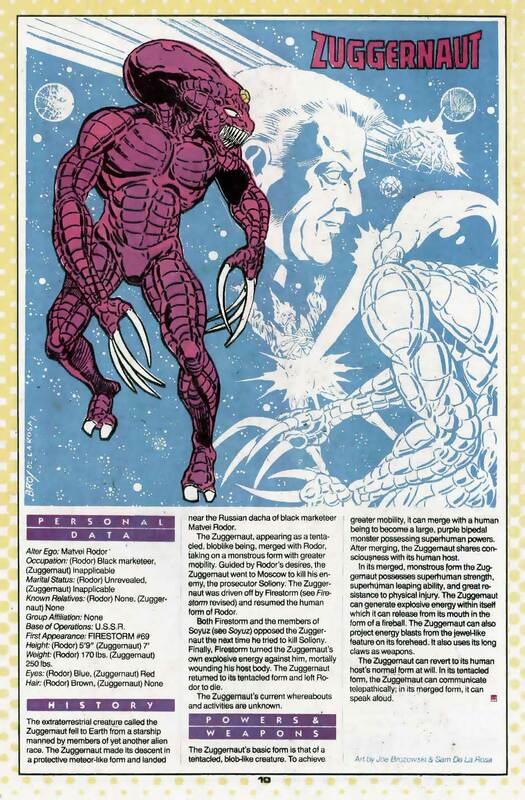 Conceptually a neat villain, in practice, pretty much a punch line for Firestorm jokes. 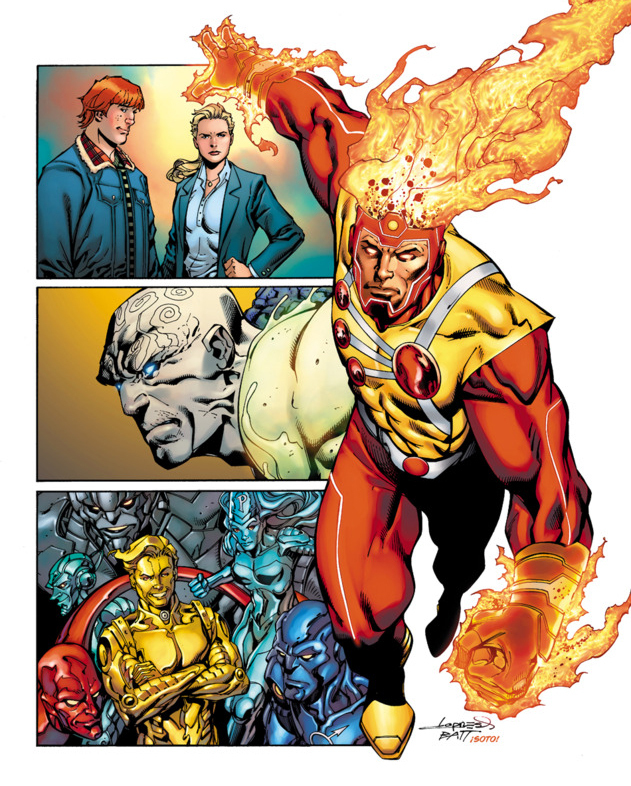 He first appeared in Firestorm the Nuclear Man #69 and was last seen (thankfully) in Firestorm the Nuclear Man #73. Considering The Flash TV series has borrowed so many Firestorm villains already, I kinda expect the Zuggernaut to show up some day. Then we’ll know the show has officially “Jumped the Shark”. Click to enlarge. Next up is Ed and Felicity Raymond by Joe Brozowski and Sam De La Rosa. Ed is Ronnie Raymond’s father; Felicity is Ronnie’s step-mother. More importantly, Felicity’s prior name was Felicity Smoak! Yes, THAT Felicity Smoak! 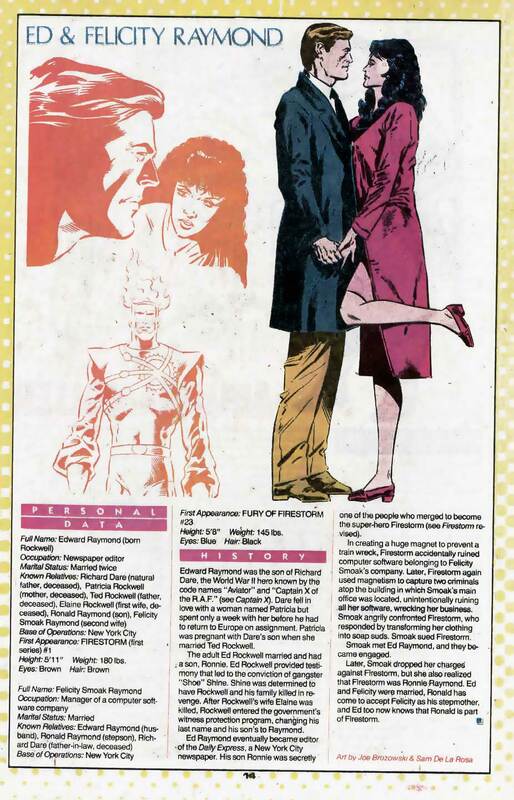 Did you know your favorite Arrow hottie started off as Firestorm’s step-mom?!? And listen to this episode to hear Rob take this drawing out behind the woodshed and beat it thoroughly. Click to enlarge. 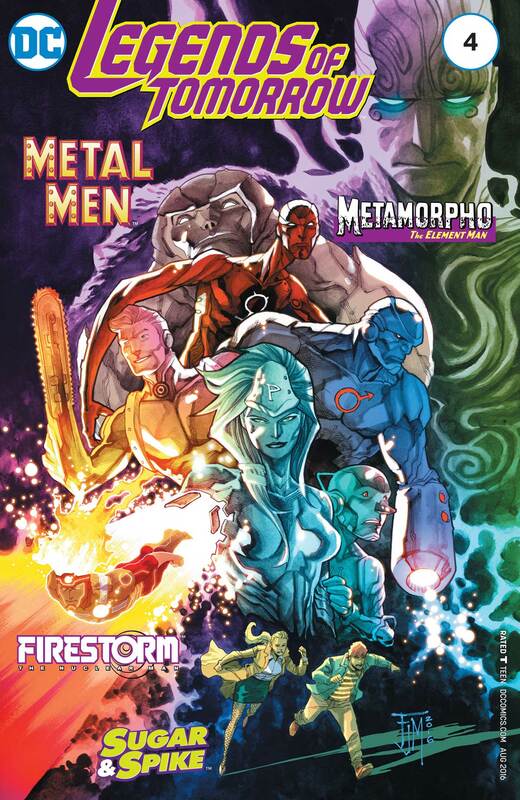 Posted in: Firestorm comic vol. II, Joe Brozowski, Podcast, Who's Who. The 167th episode of AQUAMAN AND FIRESTORM: THE FIRE AND WATER PODCAST is now available for your listening pleasure! A proud member of the FIRE AND WATER PODCAST NETWORK! Shag and Rob discuss “Out of Darkness” from AQUAMAN #52 by Dan Abnett, Vicente Cifuentes, Juan Castro, and more, and then move on to AQUAMAN: REBIRTH by Abnett, Scot Eaton, Oscar Jimenez, Mark Morales and more. The show concludes with Firestorm in “United We Fall” Parts 3 and 4 from LEGENDS OF TOMORROW #s 3 and 4 by Gerry Conway, Eduardo Pansica, Rob Hunter, and more! Plus YOUR Listener Feedback! 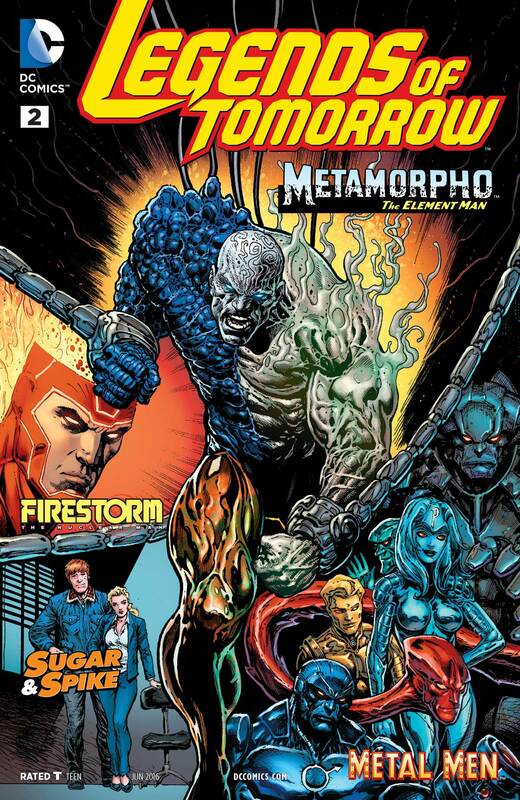 The classic FURY OF FIRESTORM comic series is being made available on Comixology! They are releasing a few issues each week! At the time of this writing, you can purchase digital copies of FURY OF FIRESTORM issues #1-15 and ANNUAL #1! Also available are issues #55 & 56 (part of the LEGENDS crossover). Click here to head over there and purchase these comics today for only $1.99 an issue! I bought my copies! Amazon lists scheduled release dates for upcoming books. Here is the upcoming release schedule for FURY OF FIRESTORM! Be sure to head over to Comixology and buy your copies of these beloved comics! 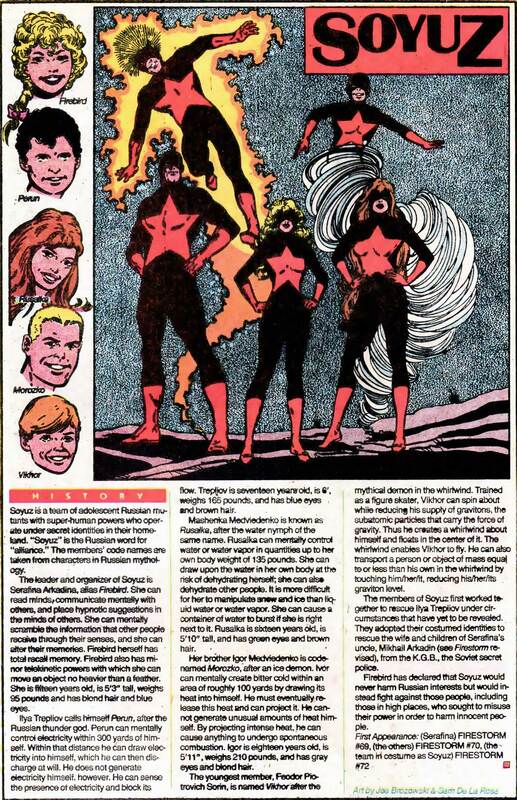 Show your support for Firestorm, Gerry Conway, Pat Broderick, Rafael Kayanan, and the other creators involved! Let’s send a clear message to DC Comics that we’re willing to support digital releases of old FIRESTORM issues! And these comics look gorgeous digitally! Even if you already own hard copies, please consider purchasing these digital issues to show your support! Posted in: Comic books, Firestorm #01: Original (Ronnie/Martin), Firestorm comic vol. II, Gerry Conway, Pat Broderick, Rafael Kayanan. SHAG INTERVIEWS GERRY CONWAY ON NEW FIRESTORM COMICS! The 159th episode of AQUAMAN AND FIRESTORM: THE FIRE AND WATER PODCAST is now available for your listening pleasure! A proud member of the FIRE AND WATER PODCAST NETWORK! Posted in: Firestorm #10: New 52 v2 (Ronnie/Jason), Gerry Conway, Interview, Jason Rusch, Legends of Tomorrow, Professor Martin Stein, Ronnie Raymond. Get ready! Be sure to reserve your copy of the Legends of Tomorrow #1 comic in stores next Wednesday, March 16! 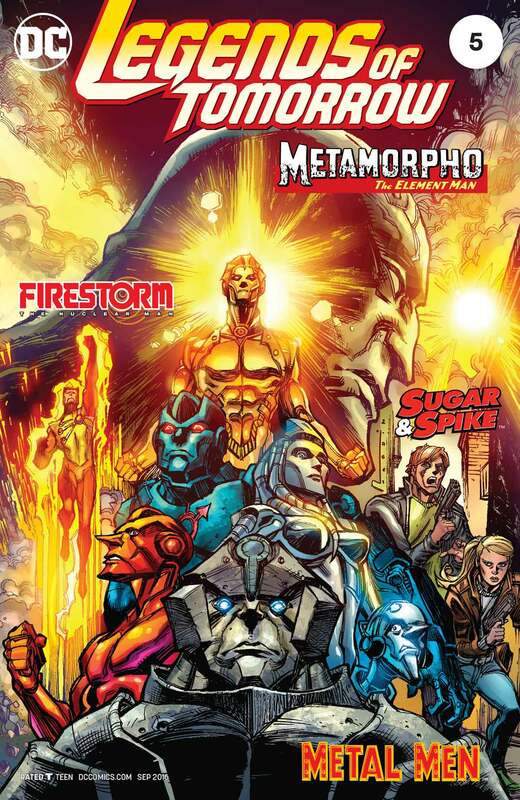 The Firestorm story is written by Gerry Conway, art by Eduardo Pansica & Rob Hunter, with a cover by Aaron Lopresti! The comic features three other stories as well, for a total of 80 pages at $7.99. With each story getting 20 pages, that essentially works out as four different comics at $1.99 a piece. Not bad at today’s prices! The long wait is finally over! Gerry Conway writing Firestorm again! Hooray!! Posted in: Firestorm #01: Original (Ronnie/Martin), Gerry Conway, Legends of Tomorrow.